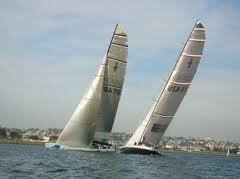 Tacking is a complicated process involving the whole crew. The difference between a good one and a bad one is hundreds of feet loss to weather, not including possible personnel or gear damage. 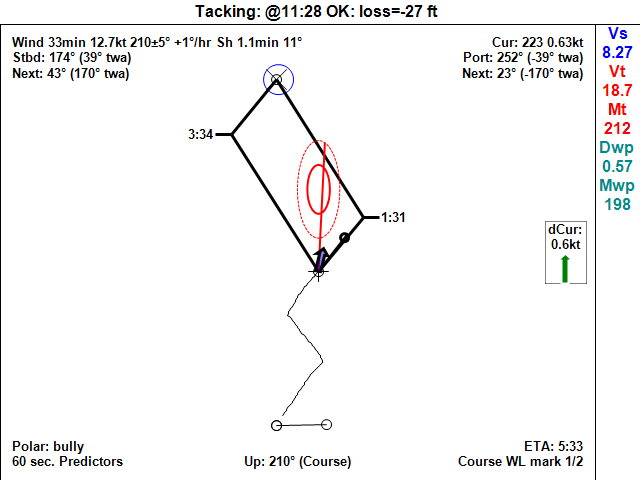 Here’s how to improve tacking. When you practice tacking, you need a tack score to rate yourself. All tacks lose distance to weather, so Distance Lost to Weather (DLw) is the best metric. DLw is related to Vmg, the speed into the wind. See Tack Score for more detail on how DLw is calculated. Turn into the wind. This produces a bit of a gain in DLw before the boat slows down. Bear off on the new tack. The boat slows down AND turns away from the wind, increasing your DLw. These steps are explained in more detail in Tack Analysis. Amount of ‘crack-off’ on the new tack. Each part of the tack profile is controlled by the helmsman, but he also needs the sails to be trimmed properly (e.g. meeting the sails at the correct bear-away point). Therefore an important training item is this coordination between rate of turn onto the new tack and sails trimmed in at the right time. The OckamSoft driver records tacks automatically when enabled. 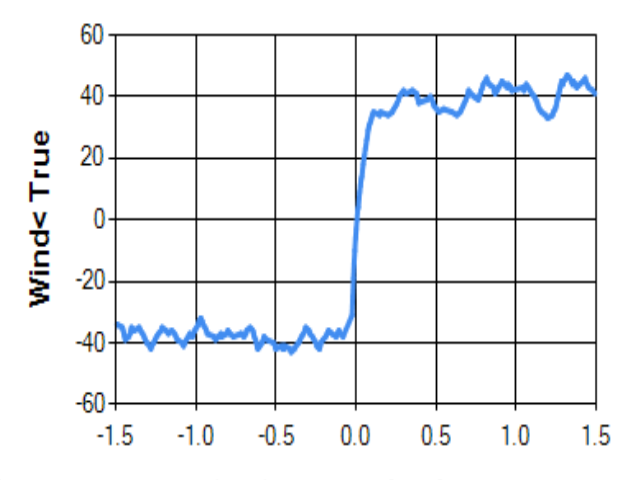 Graphical displays can show your tack score automatically, so you get an answer for every tack. You can put up a graphic of many components of a tack (boatspeed, true wind angle, rudder etc.) on any graphical display so everybody can see how they screwed up. Because a good tack is important, tack training with the ability to obtain a score will help you start and win more races.